Request our free brochure to find out more about our exciting selection of tours and cruises. We'll never sell or swap your details and you can unsubscribe at anytime. 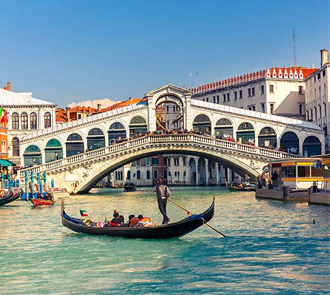 What's your ideal escorted tour? Exploring amazing cities, European culture, African safaris, train rides through the Rockies or simply a journey somewhere unfamiliar? Whatever inspires you, Cosmos is here to make your incredible adventure easy. We take care of all the planning, leaving you to soak up the tour of a lifetime. Rest assured, you’ll be getting the best value with a Cosmos escorted tour. Low deposits, no hidden costs and a guarantee to match any like-for-like tour price means you won’t be worrying about cost. Roll through swampy bayous on a Louisiana railroad, experience the Grand Canyon at dawn, or stand amidst the blinking neon of New York’s Times Square. 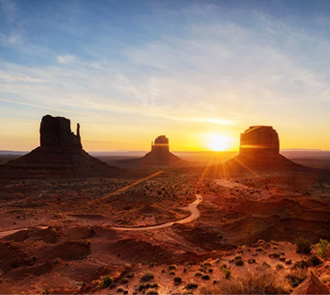 Epic adventures await you on a USA tour with Cosmos. 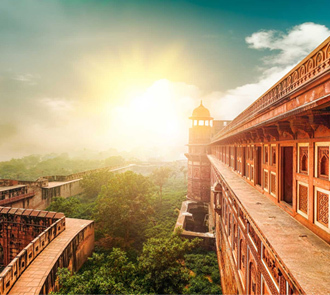 See the Taj Mahal in the calm light of dawn, lose yourself in the bustling marketplace of Delhi and journey into the jungle to seek out Bengal tigers. 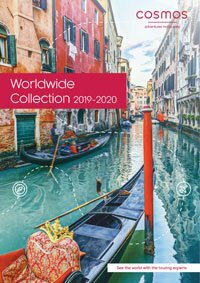 Jam-packed with a selection of escorted tours and cruises in the world’s most inspiring places. Cosmos is a family-owned company with over 50 years of experience. We offer more tours in North America and Europe than any other operator. Experts guides: We bring the sights to life for you, with the help of the industry's best Tour Directors and Local Guides. You can relax knowing you’ll always enjoy comfortable accommodation, air conditioned coaches, ABTA & ATOL protection and even a private car to and from the airport. We are a member of ABTA and all our flight inclusive holidays are fully protected by the CAA's ATOL scheme. Good Housekeeping Reader Recommended survey of Cosmos escorted tours customer experience, 106 Good Housekeeping readers, 2018. 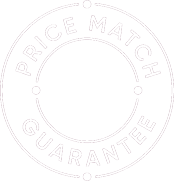 Our price match guarantee is applicable to touring holidays with the same inclusions as the Cosmos tour quoted and does not apply to cruise holidays. VIP private home pick-up service is included on all holidays if you live within 50 miles of your departure airport. If you live further than 50 miles away, you can still take advantage of this service by paying £1.85 per additional mile. All offers are subject to availability, terms and conditions apply.